James Summerlin's Blog | Problems I've had, solutions I've found, along with commentary. 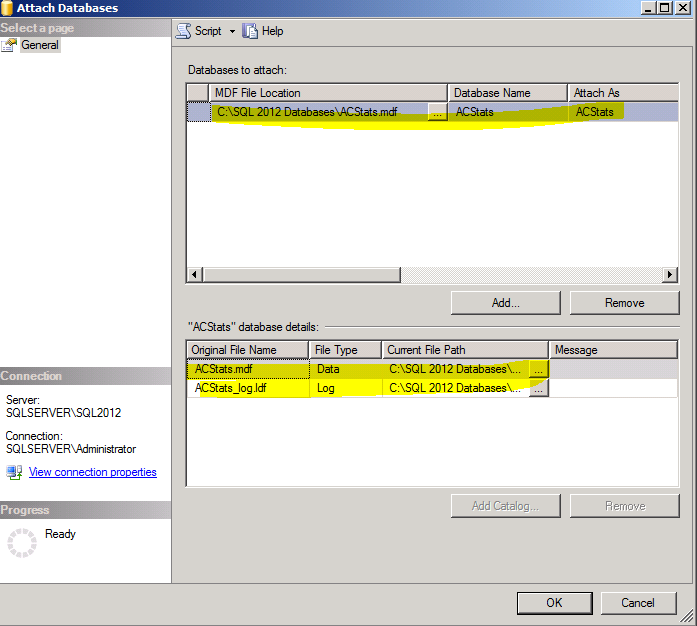 Let’s say you are transferring data from the database of one program to the database of another program. The problem is that one of the fields, say it’s a field called “usedescription” that is a data type of DT_NTEXT, has HTML in it because the program used that HTML formatting to display the text a certain way on it’s screen. However, the new program doesn’t need that HTML and perhaps that HTML even causes issues. So, how do you move the data from one database to the other and properly remove the HTML? Note that you can now get the library via Nuget. 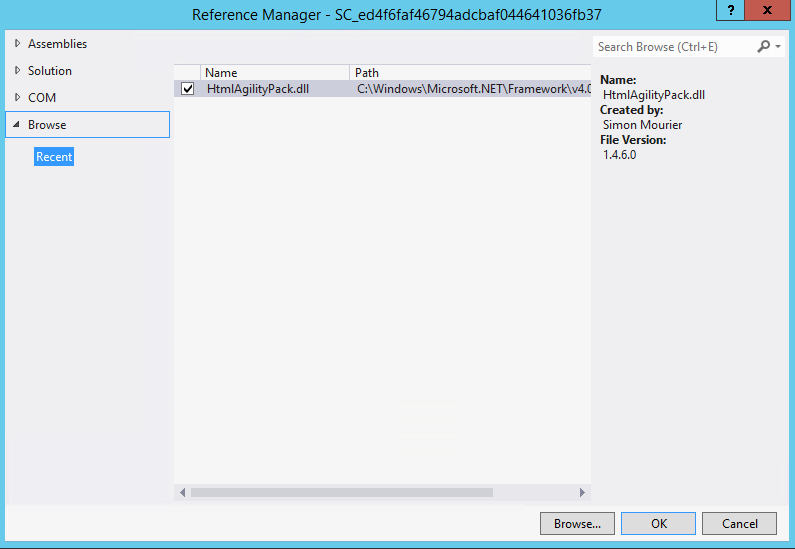 Once you’ve downloaded the library to your downloads folder and unzipped it, note that the HTML Agility Pack contains sub-folders for the various versions of .Net and even WinRT and Windows Phone. 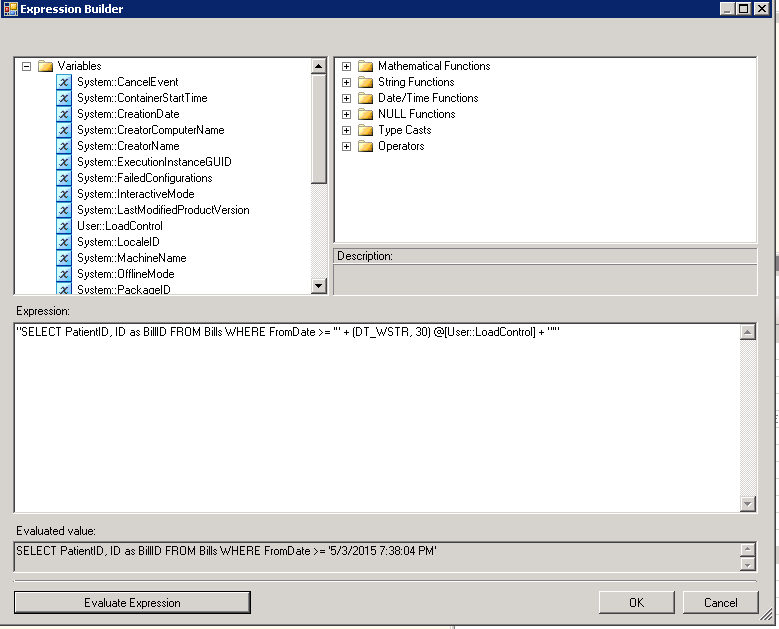 Since we are using SSIS on SQL Server 2014, copy the files in the .Net40 directory to the C:\Windows\Microsoft.NET\Framework\v4.0.30319\ directory of the server that will be running your SSIS packages. Next, open up your script component and set it in your data flow and add the field in question to the list of inputs (don’t forget to set it to Read/Write). 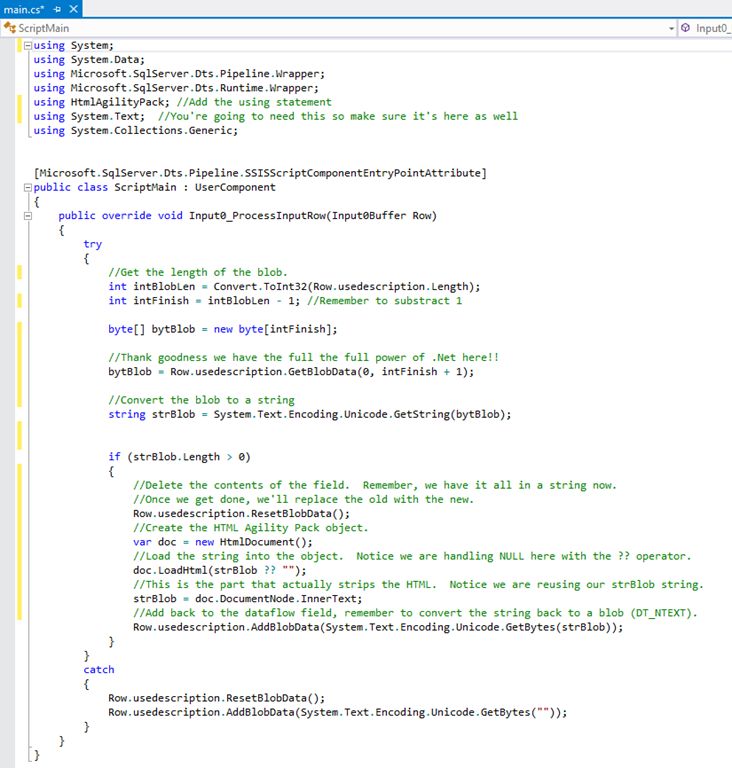 Click on Edit Script and when the code editor comes up add the HtmlAgilityPack.DLL to your list of references (you may have to browse for it to add it). Obviously, there is more clean-up to be done. However, getting the HTML out was a good first step. After a quick Bing search, it turns out this is a known error. In fact, here is the KB article from Microsoft. 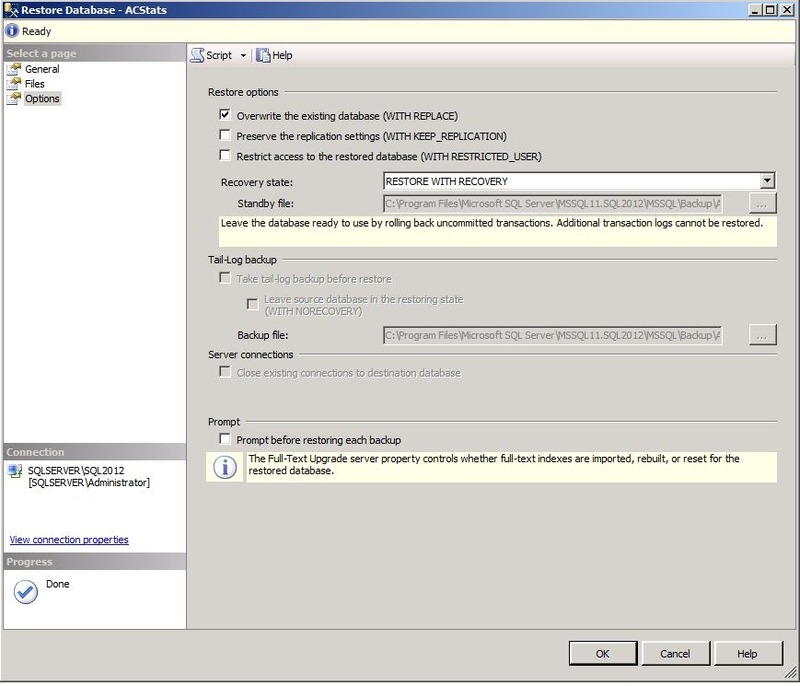 Short version: copying files across an RDP connection by right-clicking the file on your desktop then choosing copy in the RDP screen (aka clipboard redirection) is not supported. You’ll need to map the drive to the remote computer using the RDP client as the KB article suggests. 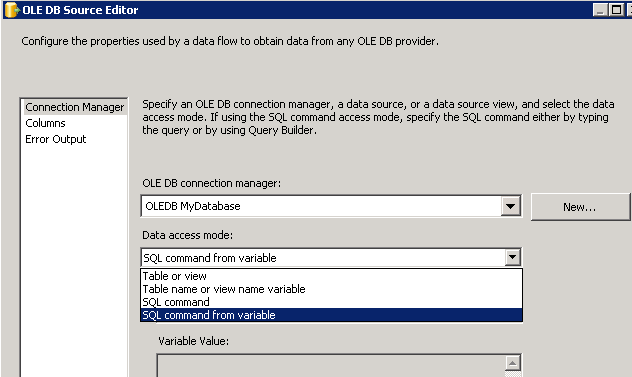 In SQL Server Integration Services, you can specify that an OLE DB Connection use a SQL Statement from a variable. 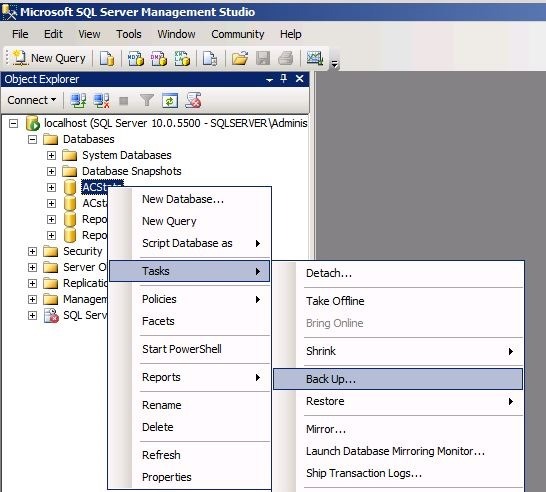 Using this approach, you can dynamically build SQL statements using the OLE DB Connection. But what about ADO.NET? 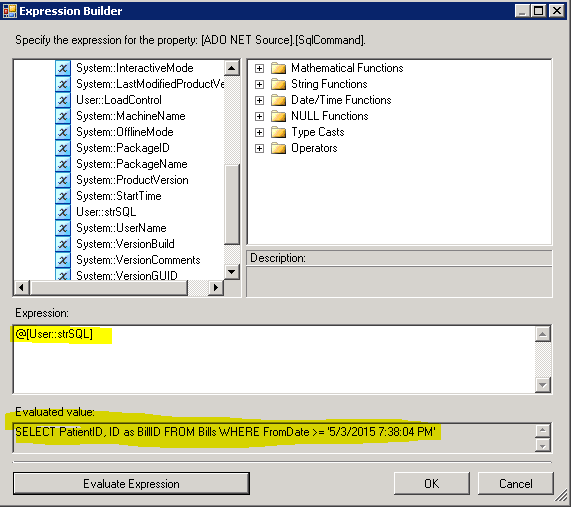 It appears we have no way to dynamically build SQL statements when using ADO.Net providers. And to think I’ve been standardizing on them. On the other hand, maybe we do have a way. I made a package with two variables. One is a DateTime called LoadControl and the other is a string called strSQL. I’m going to load a DateTime from a load control table into the LoadControl variable then use the LoadControl variable to build the WHERE clause of a SQL statement to pull out all medical claims with a date of service greater than or equal to the LoadControl date. First, our variables. Nothing hard about that. 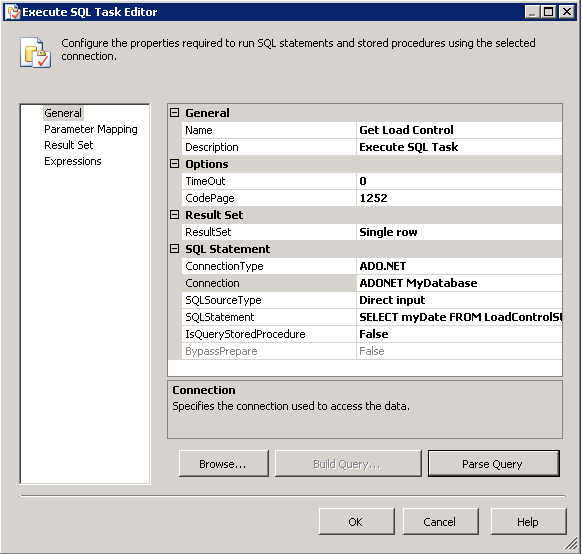 Next, our Execute SQL task to populate the LoadControl variable. Next up, our data flow. The only thing I’ve done is set up the ADO.Net Source. Now we need to get our strSQL variable populated. 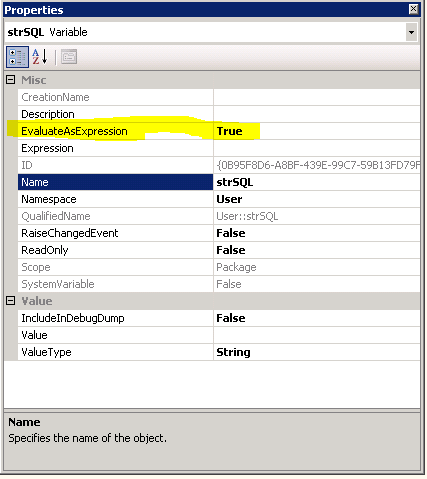 First, be certain to set the property EvaluateAsExpression to TRUE for strSQL. Next, create an expression for this variable like so. 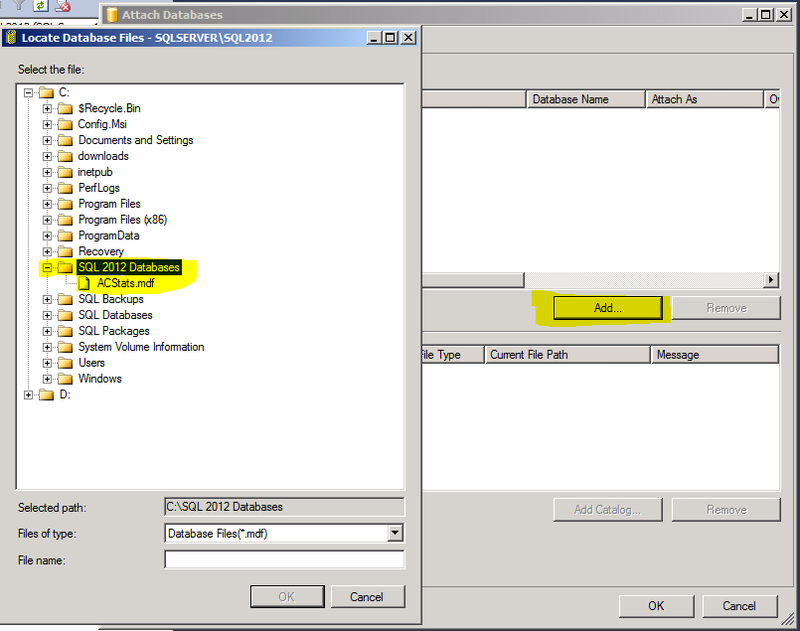 Notice that since DateTime variables cannot be NULL when you create them, SSIS fills in the current DateTime, hence the 5/3/2015 7:38:04 PM. Now the interesting part. 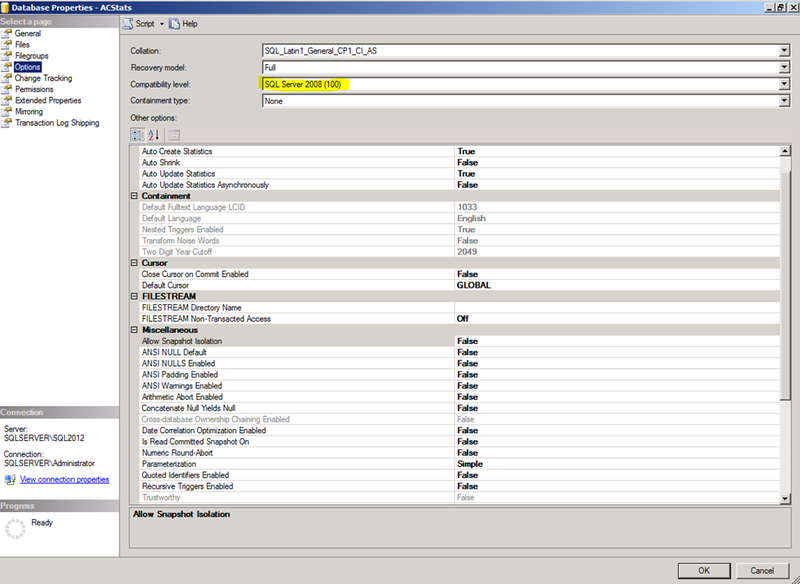 From the Control Flow, single-left click your data flow to highlight it. Now, look over at your Properties for your data flow. Scroll down to the Misc. section. 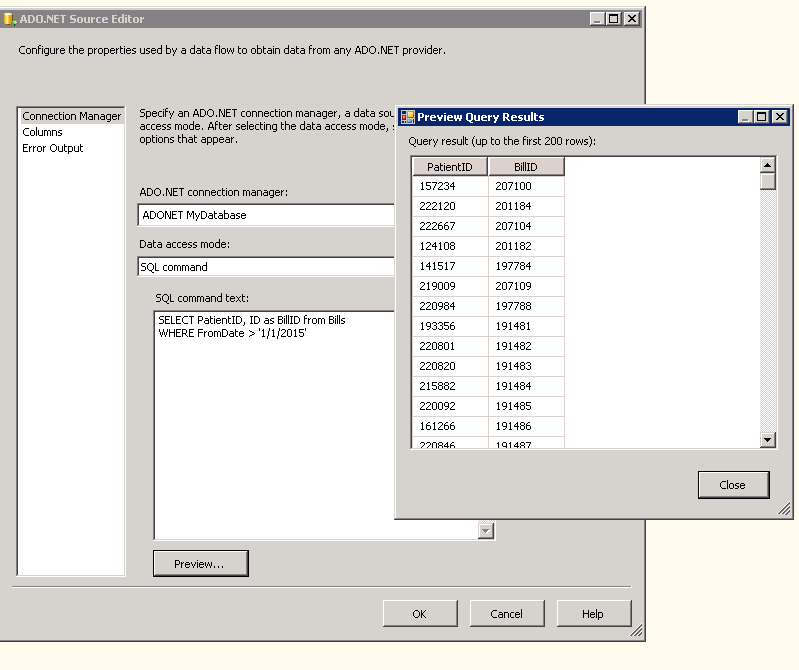 That’s right, you see the SQL statement for the ADO.Net source. Of course, this is where it is important to call your connection sources something meaningful so you can find them readily (I didn’t bother since we only have one). 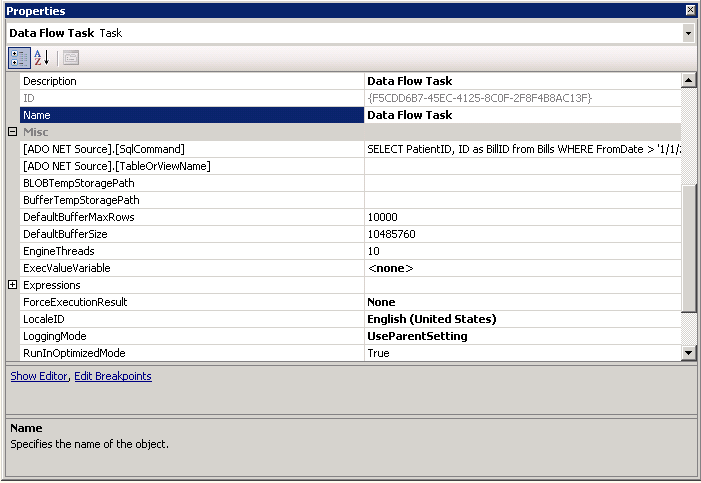 Notice that we have two spots for the ADO.Net source: SQL Command and TableOrViewName. We aren’t going to change the SQL statement there. Rather, go down further until you see Expressions. That’s right, build an expression. Notice that for this expression, we only need the strSQL variable. Once you have that saved, put a data viewer on your package and run it. 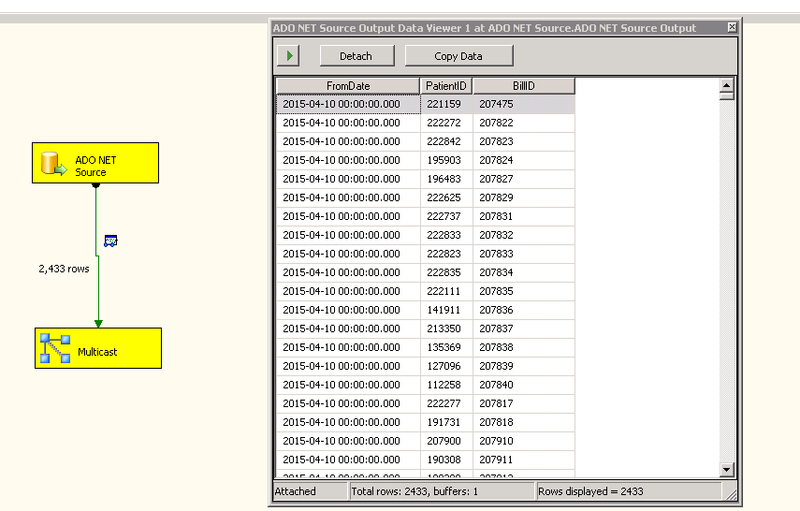 Notice that only dates for 4/10/2015 or higher are shown (I added an Order By to the SQL Statement in strSQL and 4/10/2015 is what was in our LoadControl Table). 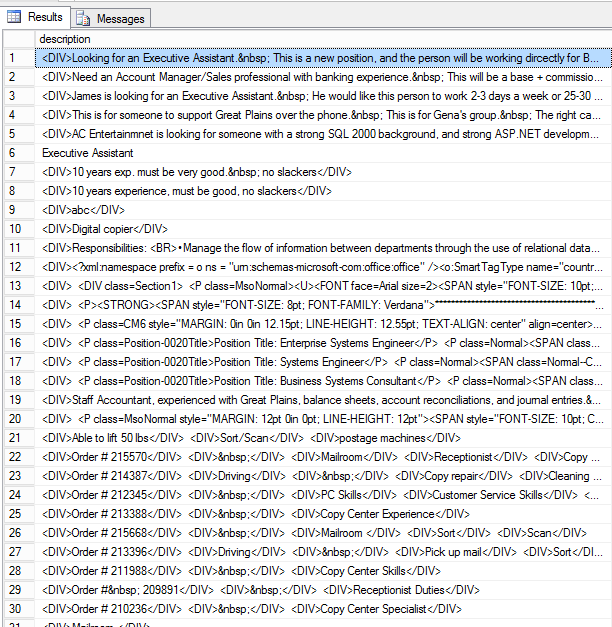 This is where our Expression was evaluated and placed in for the SQL Command of the ADO.Net source. 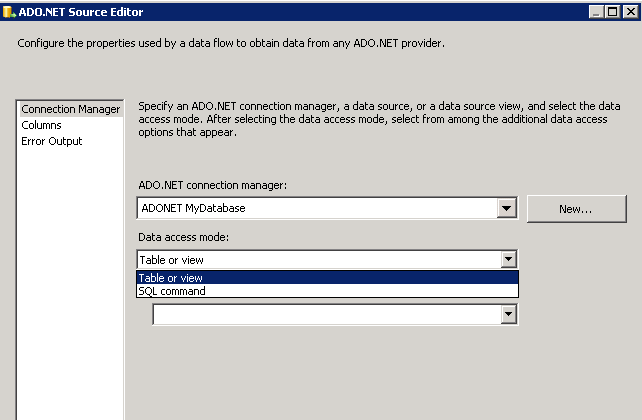 One thing of note, notice how before I set up a SQL statement in the ADO.NET Connection when I first created it earlier. This statement is IGNORED when the Expression is evaluated. 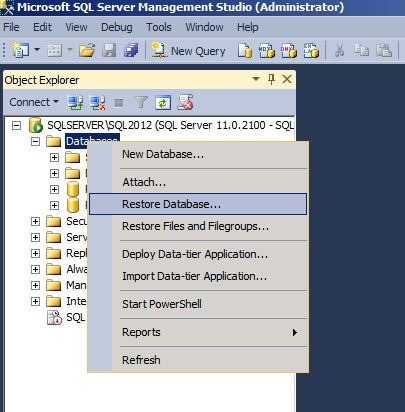 However, if the SQL Statement in your Expression adds or changes columns, you may need to go into the Advanced Editor of the ADO.NET Connection and click Refresh to get those changes to show. Otherwise, your new or changed columns may not show up in the data flow right away. 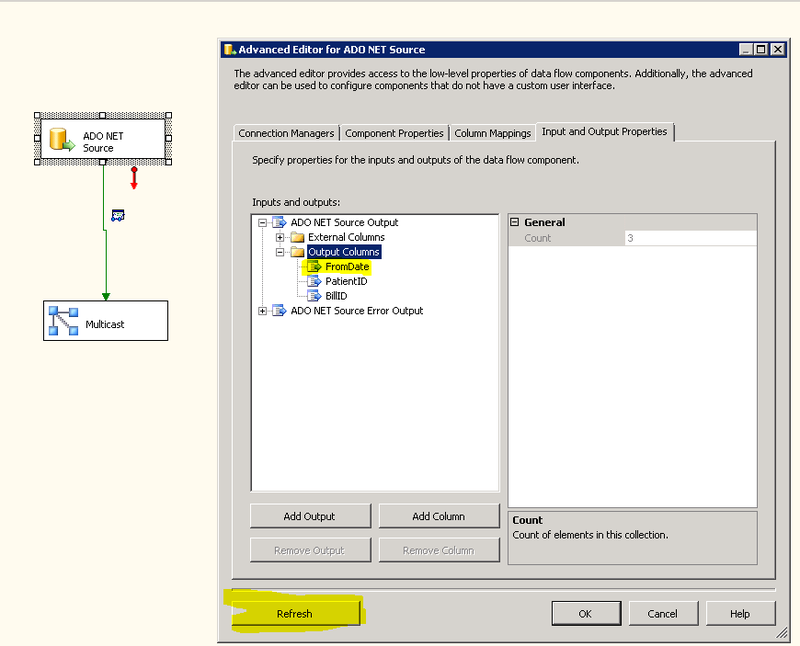 With this approach, you can still dynamically build SQL statements for ADO.NET Connections like you can OLE DB Connections. A little more work, yes, but I think worth it when you have lots of Script Tasks/Components that need to use Connection Managers. You are pulling data across a VPN connection when the connection suddenly fails. Perhaps a router failed or something, but now you are stuck with a partial pull. There is some type of unexpected corrupt data that causes your flow to error out. Again, you are stuck with a partial pull. 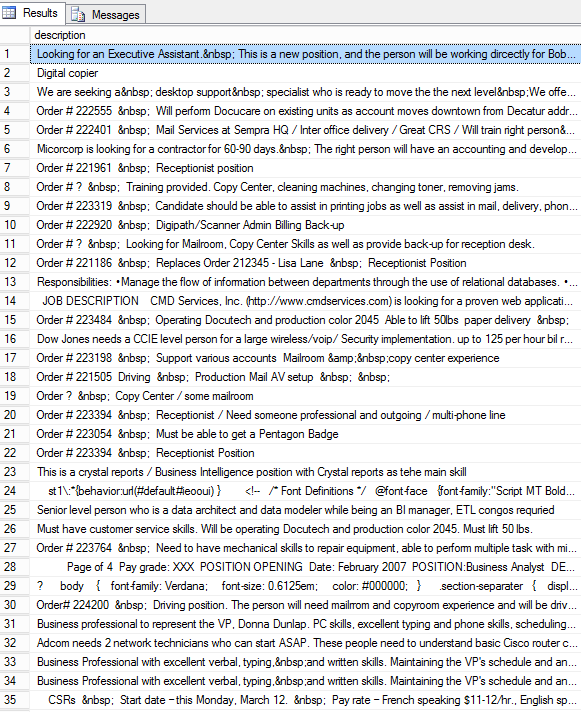 In the above situations you’ll now be stuck with production tables in a production database that have records that need to be cleaned out. At best, you’ll have to figure out which records made it and which didn’t and then make up the difference. By using temporary tables in your production database all you have to do is wipe out the temporary tables and then start over after figuring out what the error is – the idea being that once the data makes it into your temporary tables you now have full control and no longer have to worry about VPN’s going out or data needing to be changed or cleaned as all that has already been done. 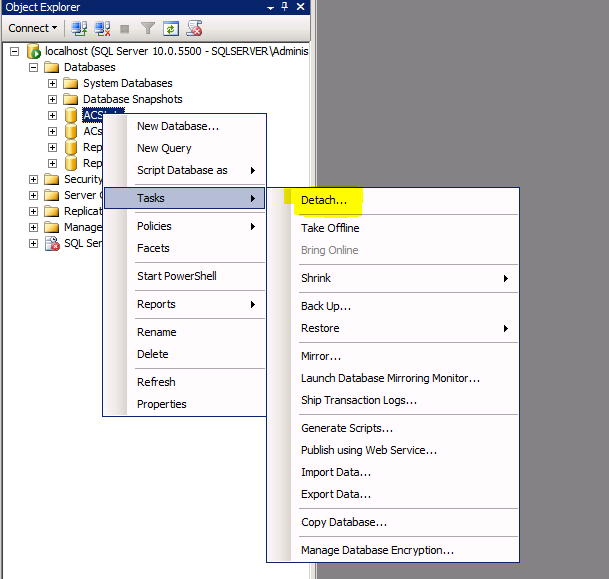 So in your SSIS package you pull data over to your database into a series of temporary tables that might in face have the same structure as your production tables just with different names. Then you pull the data from your temporary tables into your production tables. 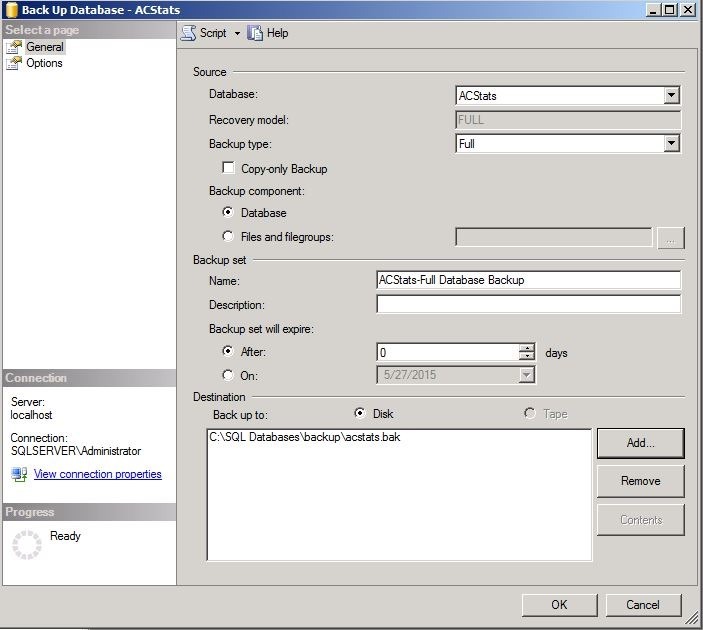 Some even go as far as to have a separate database just for temporary tables which is perfectly fine. Remember, when pulling data from other sources, especially outside sources, unless you have some ownership over said sources you control only half of the operation. You have no guarantees as to whether the source is reliable or the data is clean. Therefore, it is very likely your dataflow may be interrupted. 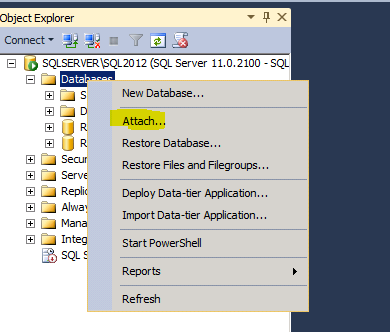 See my post on handling temporary tables in Access.